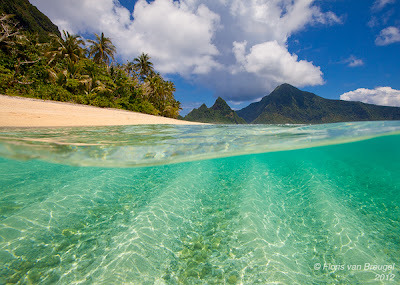 Floris is an avid nature photographer whose visit to American Samoa produced this picture, made on the remote island of Ofu. We look forward to more gems from his Art in Nature Photography, especially if they match the wizardry of this composition. I like how the line looks infinitely long. The softness of the picture is soothing. You definitely captured the spirit in these fine photographs, plus some wonderful, unexpected smiles. Classic magnificent images. Beautifully presented. I have liked very much your "Chereco Streets" gallery, a wonderful example of urban landscape... and good technique, both color and bw. Lens Culture is a magazine celebrating international contemporary photography, art, media and world cultures. Interviews © 2010 Peter-John H. Taylor. All Rights Reserved. Powered by Blogger.